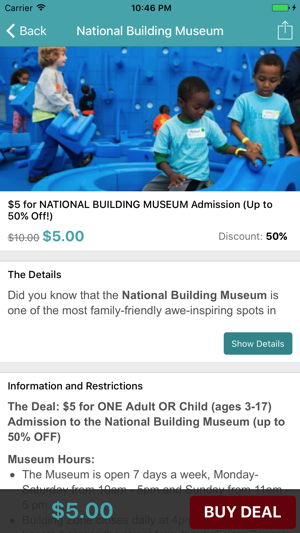 The CertifiKID app for the iPhone is a great way to make searching for family-friendly deals and purchasing them easier for mom's and dad's on the go! 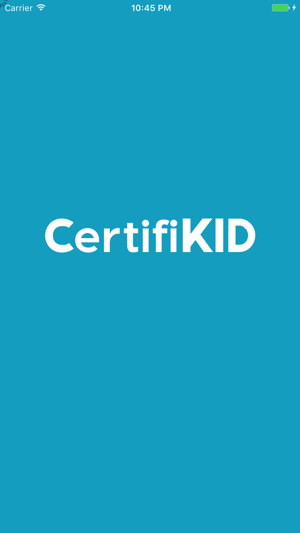 CertifiKID offers members, via daily email, unbeatable deals on all things families want and need. More than a "daily deal site", CertifiKID sets itself apart by being a resource for both families and businesses. 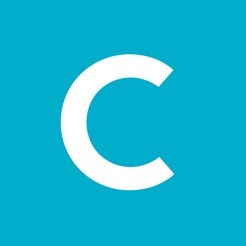 Locally staffed and connected to its membership, CertifiKID has out lasted a number of its competitors in the Washington DC and Baltimore areas. They have taken their winning formula with them in their expansion into the Delaware, Pittsburgh, Philadelphia and other markets in the Mid-Atlantic region. 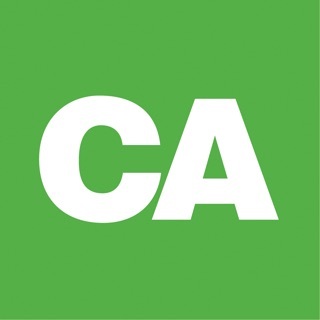 The app will allow users easy access to the Deal of the Day as well as browsing capabilities to see all older deals that are still available. I was excited to get this and quickly disappointed when I discovered there are no deals for our area. 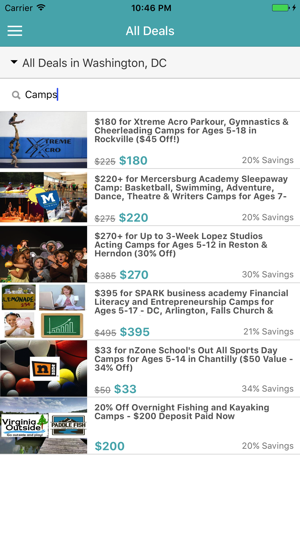 You have the general deals but nothing for restaurants or places for activities with my kids in the area. Very disappointed!! It's strange that you can't log in using your Facebook account on the app like you can on the computer. I had to delete app since I can't login. But otherwise usually like the website and lists of activities. If this is anything like the emails I've been getting then this app is gonna be awesome. Great things at inexpensive prices for the whole family.